Hooray For New Family Adventures with BEAR VALLEY SNOWMOBILE! 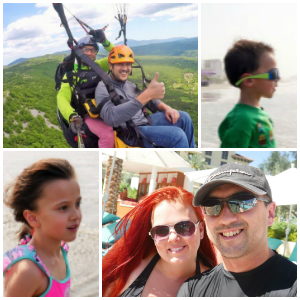 When you plan a family vacation do you make time available to experience new adventures? 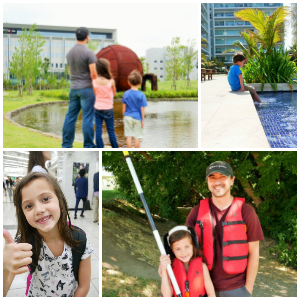 I think most parents consider vacations as a time to relax, but vacations also provide us with time to squeeze in a little adventure too. Chances are you won’t remember the last time you relaxed by the hotel pool. What you will remember is the time you went zip-lining or snowmobiling. So when we were approached by BEAR VALLEY SNOWMOBILE, we knew it was an adventure we couldn’t refuse. Our kids are getting older and I want them to be able to look back excitedly on happy memories and it doesn’t get much more exciting than snowmobiling! (No pun intended). I was a little weary of taking my five-year-old but the staff at BEAR VALLEY SNOWMOBILE put me at ease explaining to me that kids of all ages have used BEAR VALLEY SNOWMOBILE and they all leave having loved it! In truth, I wasn’t expecting it to be so easy. Most new adventures we have tried need a lot of “learning time”, but at BEAR VALLEY SNOWMOBILE, an instructor went over everything we needed to know and we were on our way! One of the huge bonuses of choosing BEAR VALLEY SNOWMOBILE is that you don’t need a guide; you can just hop on and take off. This provides excellent value for money by having every minute filled with fun instead of paying for “instructor time”. I rode with my five-year-old and my husband rode with my seven-year-old on their own snowmobile. I went slowly at first, not knowing how my son would react since he hates rides. After a minute though, he was begging to go faster. I will never forget my “non-adventurous” child’s laughter as we picked up speed winding through the trail. It was by far the most fun he has ever had; I can’t wait to take him again. I was really impressed by the BEAR VALLEY SNOWMOBILE staff and how they helped make this an amazing family adventure and one that we will always remember. So what are you waiting for? Get started with your family adventure at BEAR VALLEY SNOWMOBILE! In about 10 minutes up the trail you are immersed in beautiful valleys and hills. The landscape and views are worth heading up for alone! Once your snowmobiling journey is over, be sure to head next door to The Smoking Barrel Café! Sherri, the owner, has a fantastic sandwich shop with options you won’t find at your average shop such as tri-tip steak sandwiches, stuffed croissants, and soups! Sherri and her daughter were both running the shop when we stopped by and they are some of the nicest people you could ever hope to meet. Even if you don’t head out into the snow, I would recommend heading up to Bear Valley just for one of these sandwiches. I had the Sherriff’s Special – nothing but slow cooked tri-tip steak drowned in a rich au jus sauce. The meat on this sandwich is to die for! So juicy and soft it just melted in my mouth. So good!! So if you are headed up to Bear Valley be sure to make a day of it with BEAR VALLEY SNOWMOBILE and The Smoking Barrel Café! You'll love it! !